The olive grove consists prevalently of the Nocellara del Belice, and in less quantities the Moresca and other autochthonous Sicilian cultivar. The olives are picked semi-mechanical and pressed, in our olive oil mill, with the cold extraction method which takes place in our latest generation oil mill. 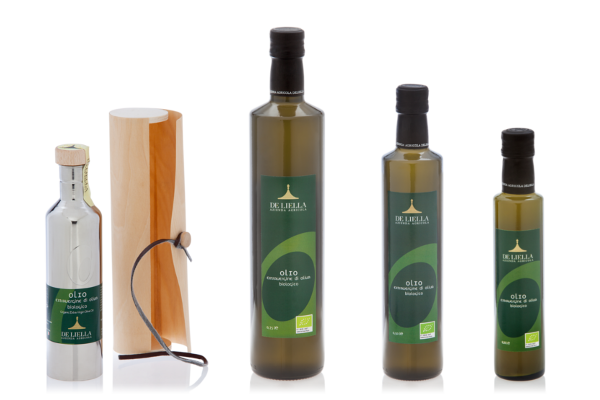 The Deliella farm has won several awards for its Organic Extra Virgin Olive Oil and exports in several countries, such as Italy (macrobiotic food chains), Japan, Hong Kong, Taiwan, Singapore. 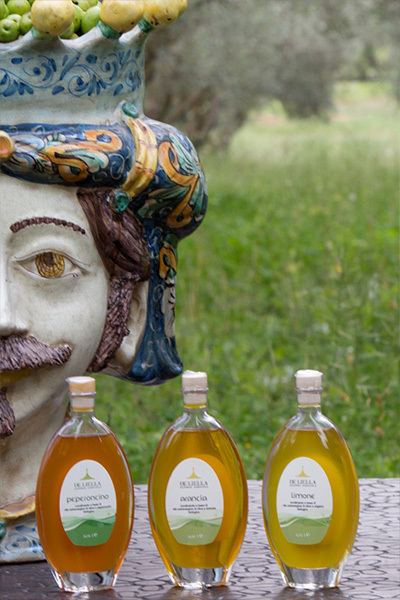 It is a balanced and harmonious Extra Virgin Olive Oil, light fruity, light bitter, spicy of medium intensity and sweet hardly perceptible. 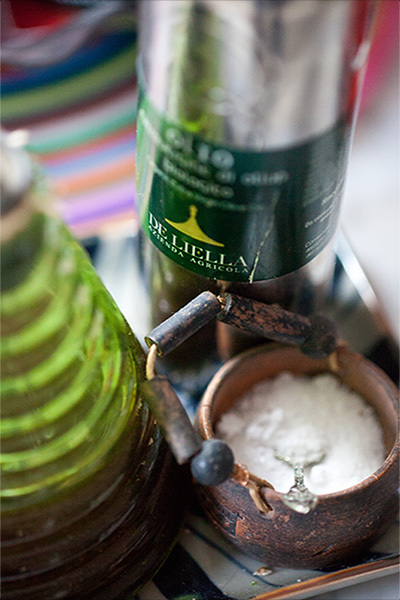 Symbol of the ancient Mediterranean tradition, these products are very soughtafter, since they require a long and clever process, where oranges, lemons or basil are milled together so as to obtain a precious and unusual oil, perfect for the preparation of unique recipes. 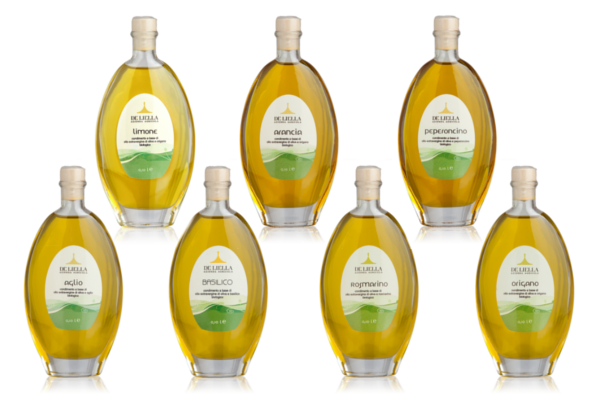 They are obtained through the infusion of fresh organic aromatic herbs in top quality extra virgin olive oil. The goodness of these oils mainly come from the ancient homemade family tradition.